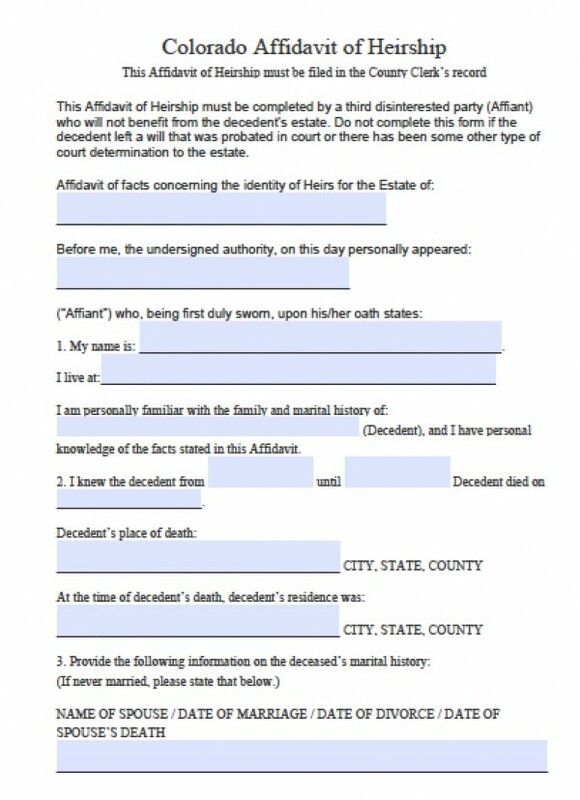 In Colorado, if the decedent did not leave a will, and their personal and real property are valued less than $10,000, successors may petition to avoid probate by filing an affidavit of heirship. 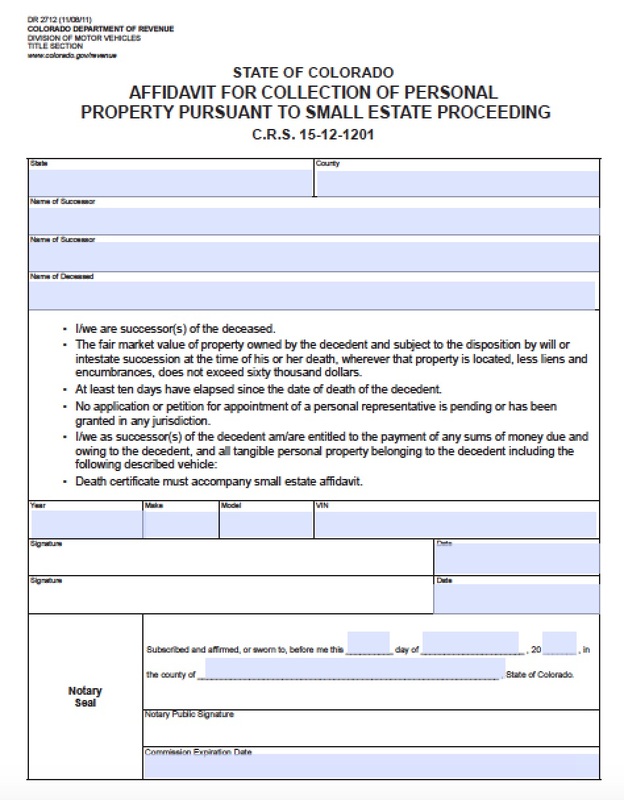 If the property values between $10,000 and $20,000, summary administration may be used instead, as long as the estate is not complicated. Colorado’s heirship laws are encoded in Colo. Rev. Stat. Ann. § 15-12-1201.